Finally, a true warrior woman + an ego-less Carpathian hunter = a true equal pair. My favorite of the series. 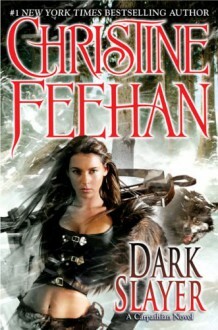 I had gotten a little frustrated with Feehan and picked this up on a whim. Wow! I love that Ivory is one kickass warrior. There was no place for all that 'my little weak woman' or 'I have to protect you cause you're a muffin' stuff. This was a wild, action-packed novel. BRAVO Feehan!